The dramatic lighting from the National Trust building does most of the work for us! Click on the image for a closer look. Art and access to art are not 'added extras' in life and should have the same importance placed upon them as essential services for a society. 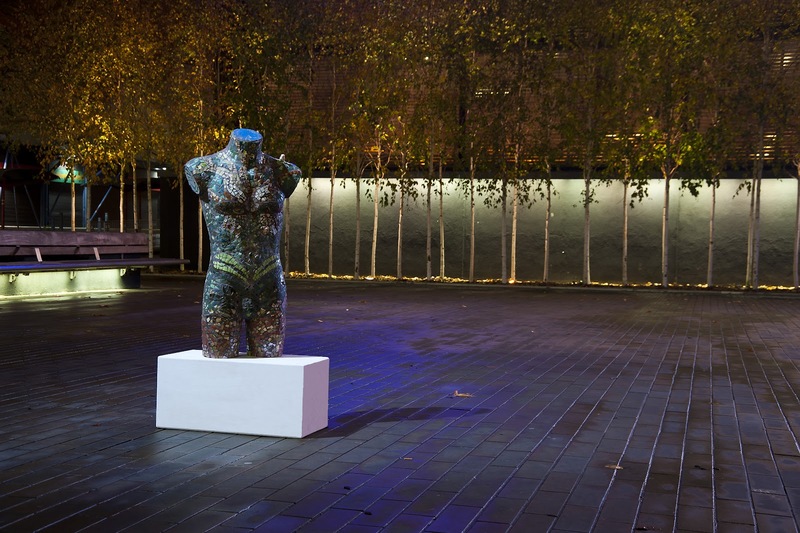 So how do you change the perception of art as an 'added extra' and for a niche of people? In a localised advertising campaign that uses the locations as much as the artwork themselves to challenge preconceptions and ask questions, that's how! As part of the Advertising Applications unit fellow student Ed Howell and I took an advertising campaign for the Artsite Post Modern Gallery from conception through to execution, and all points in between. The mixture of light and textures at Wharf Green suits The Green Man sculpture. Click on the image for a closer look. Initial ideas highlighted the theme of hidden art in Swindon, that locally much goes on, but above the surface some people may struggle to realise the scale and depth of activities. 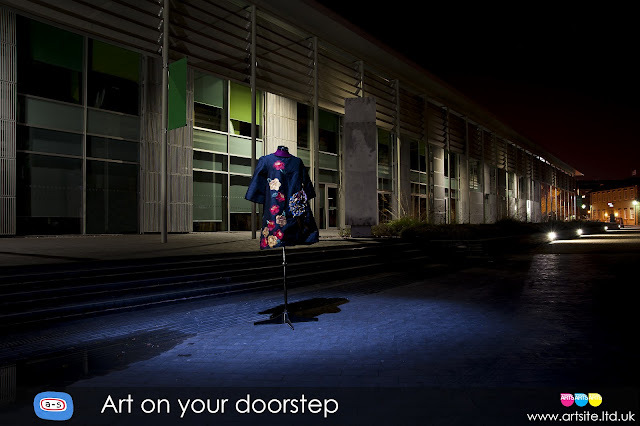 In short, we wanted to show how art in Swindon is on your doorstep - by putting it there. For the full set of images from the campaign, click on the link to the right, or here..